Students were enjoying the games. 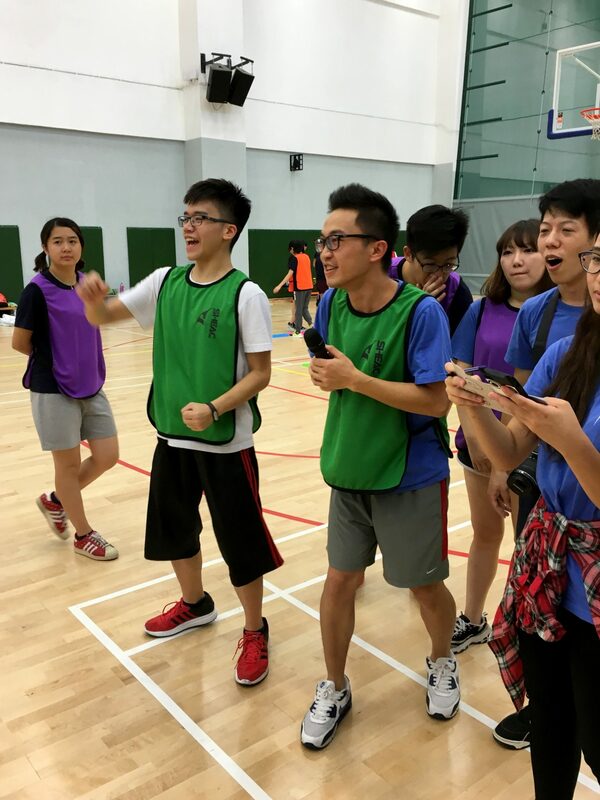 On 7th November 2015 (Saturday) afternoon, the University of Macau Sports Complex saw a huge crowd of energetic young people cheering for their own teams. It was the first Fun Sports Day of Stanley Ho East Asia College! 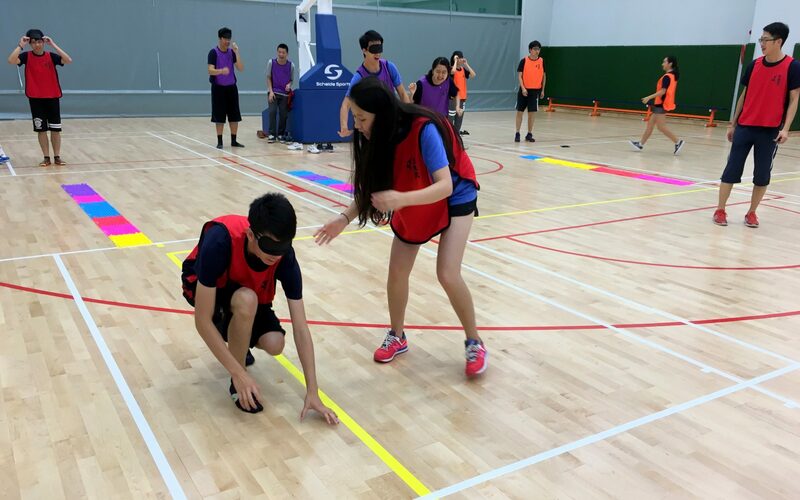 Comprising a series of exciting friendly matches, this college-wide event was aimed at strengthening the rapport and understanding amongst students and nurturing their teamwork skills as they would represent their floors to compete in the games. 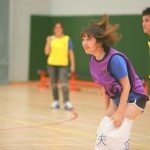 In addition, the importance of healthy lifestyle through interesting sports games is simultaneously expressed. In the game of “Who is Still Standing”, students tried hard with all sorts of body language to let teammates guess what they wanted to express. 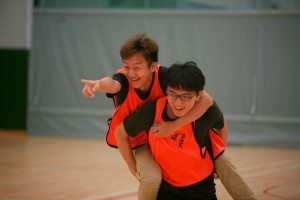 The event comprised six different games respectively proposed, selected, prepared, and facilitated by the six floor leader groups. 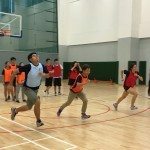 In each game, 5-10 students played for their own floor teams. Scores were awarded on the team’s rank; the higher the rank, the higher the score. The total scores from the six games determined the top three teams. 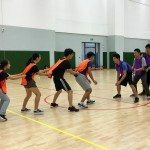 The games were played in the order of Dodgeball, object-borrowing relay, sack-jump relay, “Who is Still Standing”, “Boys and Girls, Go Go Go”, and “Caterpillar”… As the games went on, the atmosphere got heated up, and the students cheered increasingly louder for their floor teams. 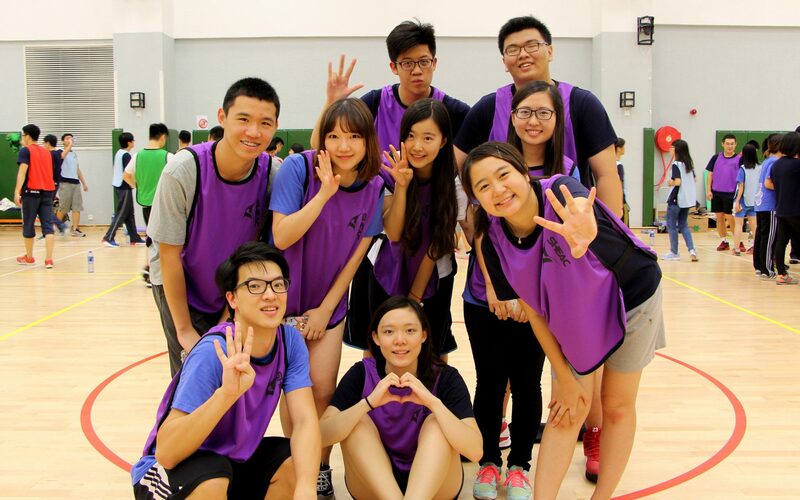 In the end, the teams from the fourth and sixth/seventh floor were crowned the champion with the same score of 25. Only one point behind, the runner-up was the second floor team. Certainly, friendship is much more important than the results. In the end, a group photo of more than 60 participants marked one of the memorable moments of the College life and drew the event to a joyful conclusion. One of the winning floor teams: the fourth floor. Students were blindfolded and led by partners to complete the “Boys and Girls, Go Go Go” game.